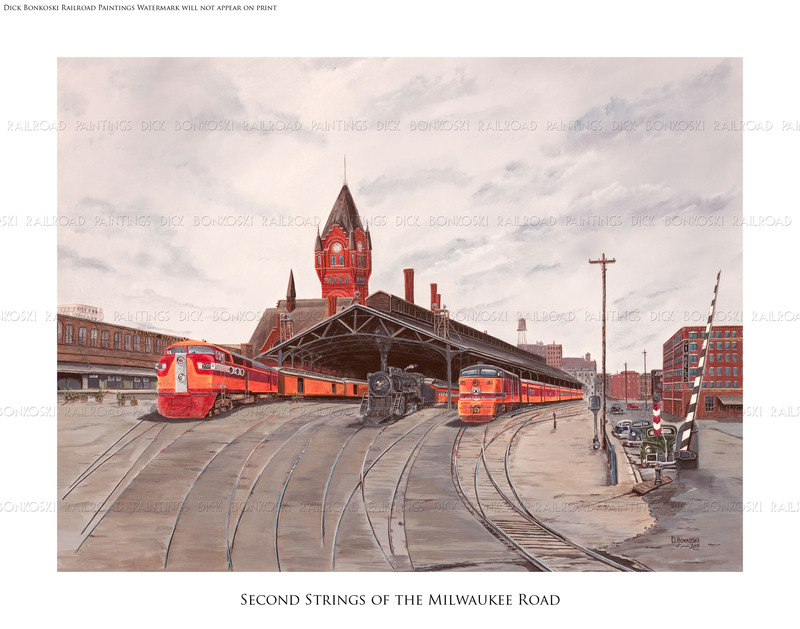 The Chicago, North Shore and Milwaukee Railroad depot at 5th and Michigan Streets in Milwaukee Wisconsin opened for service on September 15, 1920, a mere stones throw form the Chicago Milwaukee St. Paul and Pacific railroad station. 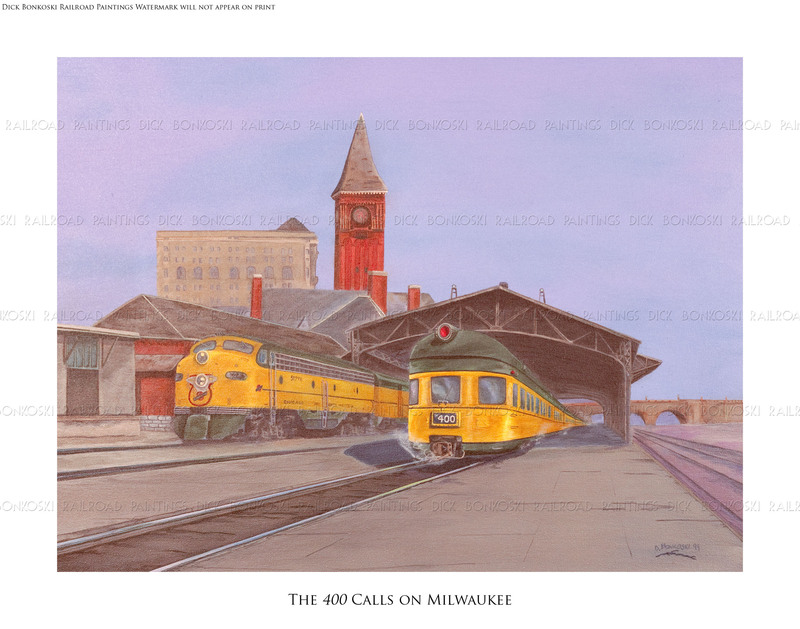 While the Milwaukee Road had its share of loyal riders, so too did the North Shore, transporting countless shoppers and commuters and tens of thousands of military personnel on weekends between the Great Lakes Training Academy and the cities of Milwaukee and Chicago. Over its 65-year history, the North Shore prided itself on its well-groomed right-of-ways and spit-shined train sets. 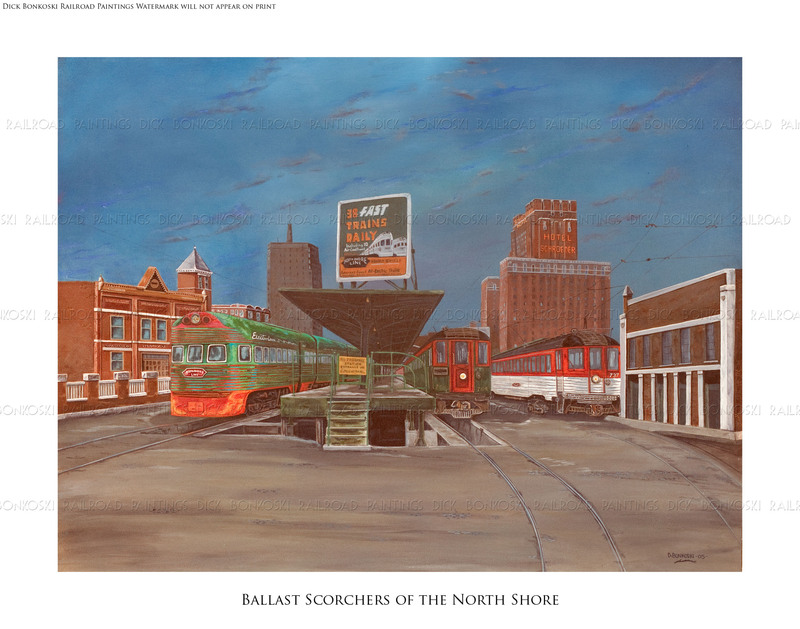 Widely recognized as the Country’s most well know commuter line, the North Shore outlived all of its interurban predecessors. On this chilly day in Milwaukee, we see an assorted line up of equipment offered by the “Line of Service.” Sitting to the right of the boarding platform is car 764 built by the Standard Steel Car Company in 1930. Donning her original green and crimson enamel paint, she straddles the inspection pit before a run over the Skokie Valley Route to Chicago. Ready to follow is Silverliner 737, one of 27 cars repainted with an artists touch in the late 50’s to resemble the fluted stainless steel cars in use on larger roads. With 38 fast trains per day between the two cities, 10 of them were modern Electroliners like #802, poised to leave in five minutes for a ballast scorching 90 mph run to the Windy City, some 90 miles to the south. 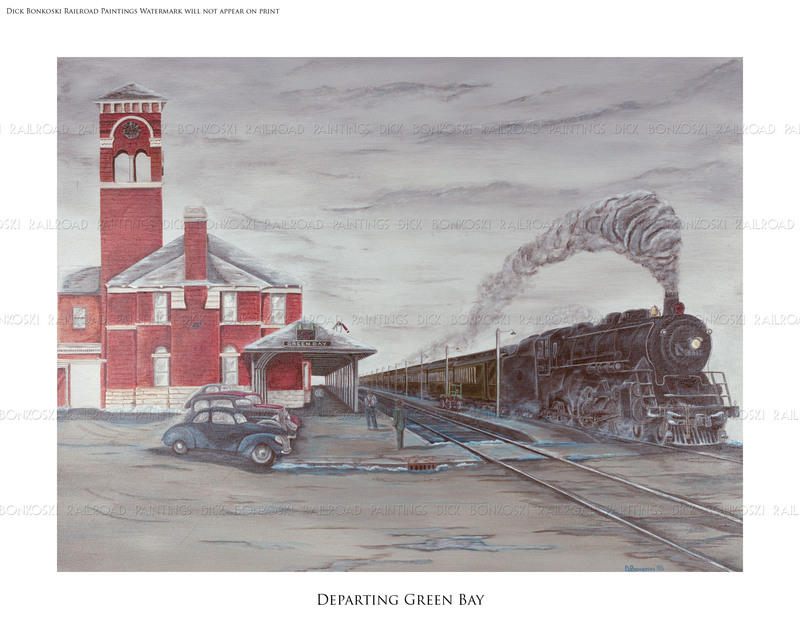 The North Shore ceased operations on January 21, 1963 during a raging snowstorm. Both cities have seen many a snowstorm since then but never a railroad like the North Shore Line. 22 x 28 original acrylic painting was completed in 2005.